Rock was born in the 1950’s and came of age in the 1960’s. But rock music was taken to a whole new level in the 1970s. From rock anthems like “Born to Run” from Bruce Springsteen, to acoustic guitar classics like “Sweet Baby James from James Taylor”. The decade of the 70’s produced hundreds of great rock songs that have been an important part of the soundtrack of so many lives. The 70s Rock Strumming course focuses on teaching you 20 great songs from the era. Here is a breakdown of the songs in each of the 4 volumes that you’ll learn. 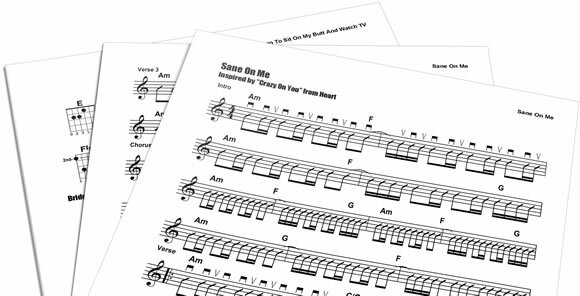 Every song in the “70s Rock Strumming” course includes detailed sheet music with all of the strums and chords charts needed. 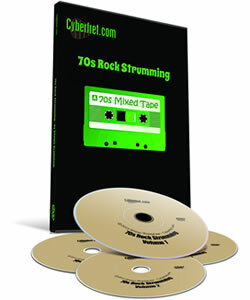 I know you are going to love the 70s Rock Strumming Course… Guaranteed. In fact if you are not 100% satisfied for any reason…or no reason at all, just contact us within 60 days for a full refund.